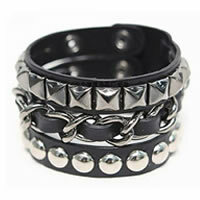 Stretch Bead Skull Charm BraceletBe the first one to write a reviewReg. Price $21.99 $1.99 On Sale! 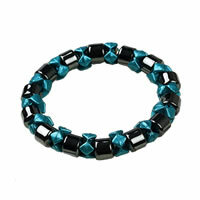 Ladies Hematite Blue Black Pearl Magnetic Stretch Health BraceletBe the first one to write a reviewReg. Price $12.97 $4.99 On Sale! 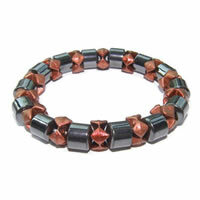 Ladies Hematite Orange Black Pearl Magnetic Stretch Health BraceletBe the first one to write a reviewReg. Price $12.97 $4.99 On Sale! Ladies Hematite Pink Black Pearl Magnetic Stretch Health BraceletBe the first one to write a reviewReg. Price $12.97 $4.99 On Sale! 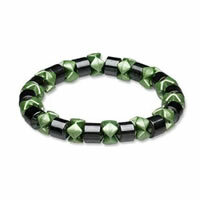 Ladies Hematite Green Black Pearl Magnetic Stretch Health BraceletBe the first one to write a reviewReg. Price $12.97 $4.99 On Sale! 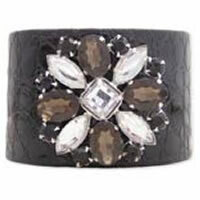 ZAD Faux Crocodile Skin Rhinestone Flower Cuff BraceletBe the first one to write a reviewReg. Price $12.99 $4.99 On Sale! 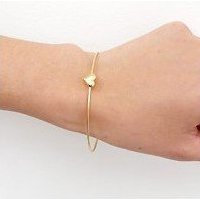 Gold-tone Single Leaf Slave BraceletBe the first one to write a reviewReg. Price $18.99 $5.99 On Sale! 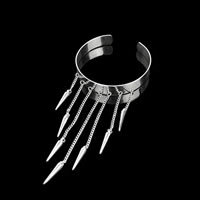 Heart Slave BraceletBe the first one to write a reviewReg. Price $12.99 $5.99 On Sale! 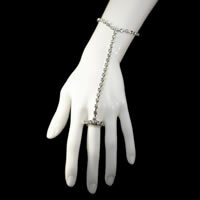 Rhinestone Slave Bracelet with RingBe the first one to write a reviewReg. Price $12.99 $4.99 On Sale! 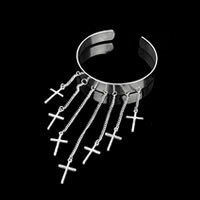 Cross Tassel Upper Arm Cuff BraceletBe the first one to write a reviewReg. Price $12.99 $4.99 On Sale! 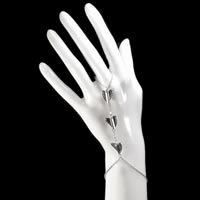 Heart Wish Bracelet (Gold or Silver)Be the first one to write a reviewReg. Price $12.99 $1.99 On Sale! 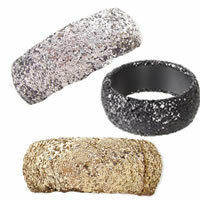 ZAD Wide Large Glitter Bangle Be the first one to write a reviewReg. Price $12.99 $8.99 On Sale! 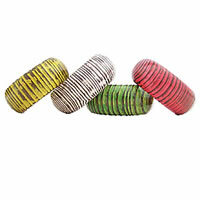 ZAD Rustic Painted Wood BangleBe the first one to write a reviewReg. Price $12.99 $9.99 On Sale! Multi-Layer Pearl BraceletBe the first one to write a reviewReg. Price $12.99 $2.99 On Sale! 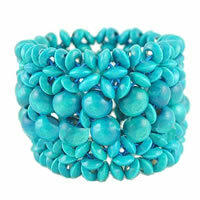 Trendy Turquoise Wooden Stretch Bracelet Be the first one to write a reviewReg. Price $13.99 $1.99 On Sale! 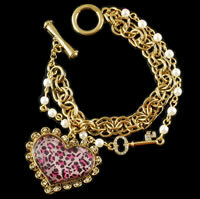 Pink Leopard Heart BraceletBe the first one to write a reviewReg. Price $14.99 $4.99 On Sale! 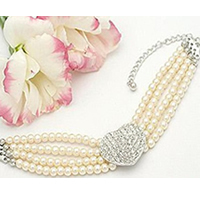 Juicy Couture Tassel NecklaceBe the first one to write a reviewReg. Price $78.00 $9.00 On Sale! Reg. Price $110.00 $14.99 On Sale!